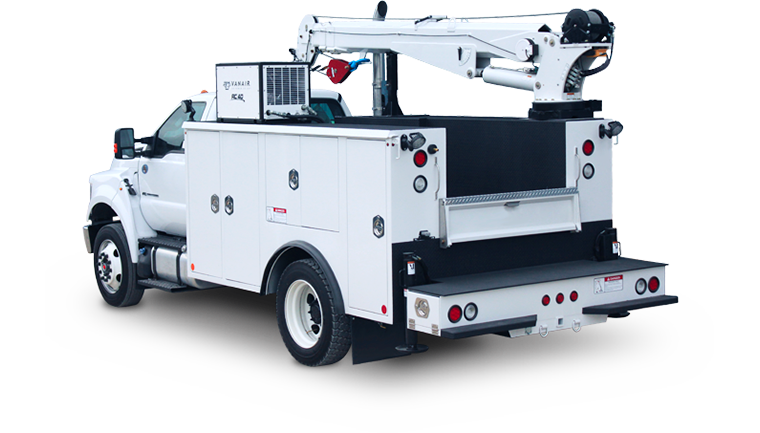 Our standard-duty Marauder has all the features you need in 3-yard, 4-yard, and 5-yard capacities. Dump bodies are offered in nine-foot and 11-foot lengths. 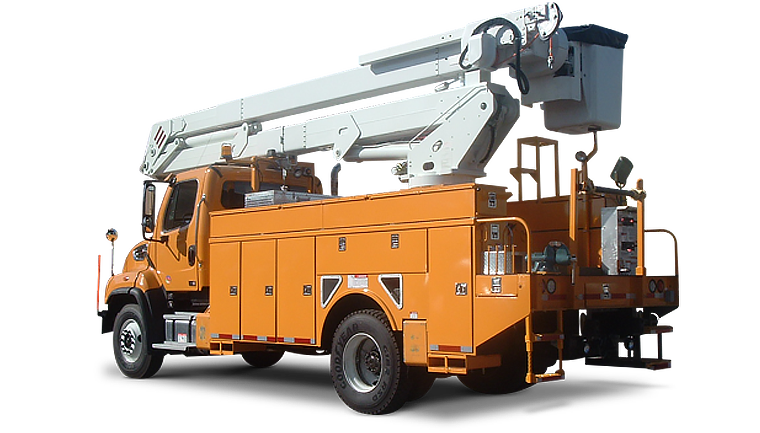 They’re engineered with undercoated steel understructures, dual-wall side construction for exceptional body strength and reliability, and the performance of Class C- and D-rated hoists, ready to lift up to 12 Tons. 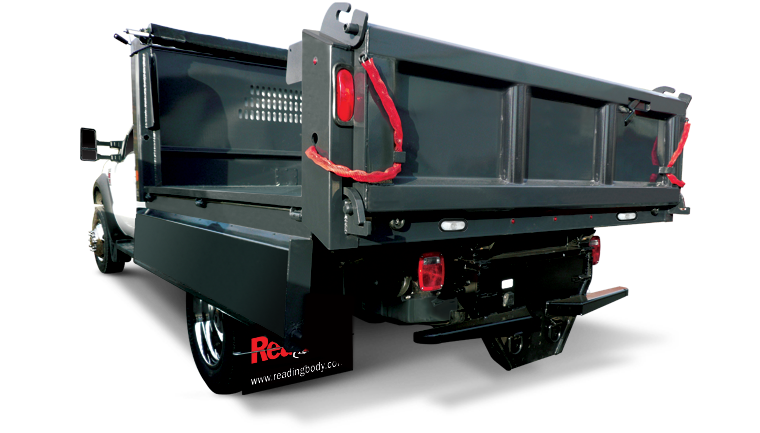 Additional features such as a backup alarm, tailgate latch pins and shock-mounted rear lights improve safety on the road and around the job site. Choose from our standard black body color or select a custom upgrade of red, white or charcoal. (Hoist capacity varies by model; see order guide). 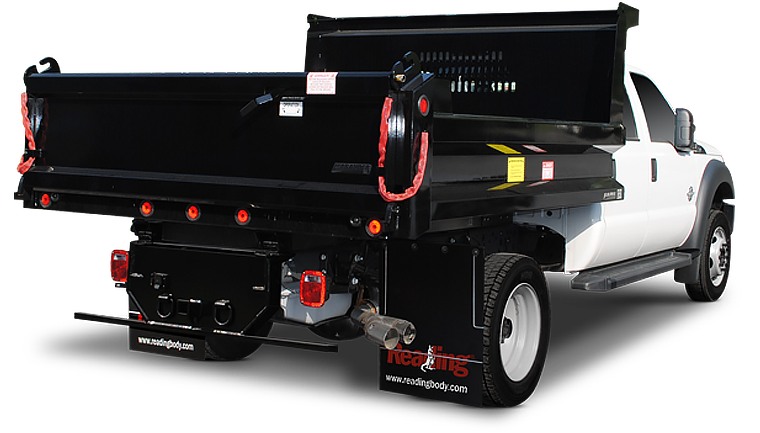 The Marauder SL is an economical dump body in 3-yard and 4-yard capacities. Designed to deliver maximum payload capacity with lower fuel consumption, these versatile dump bodies feature rugged steel construction and a subframe mounted, double-acting electric hydraulic scissor hoist with an eight to 13-ton capacity. 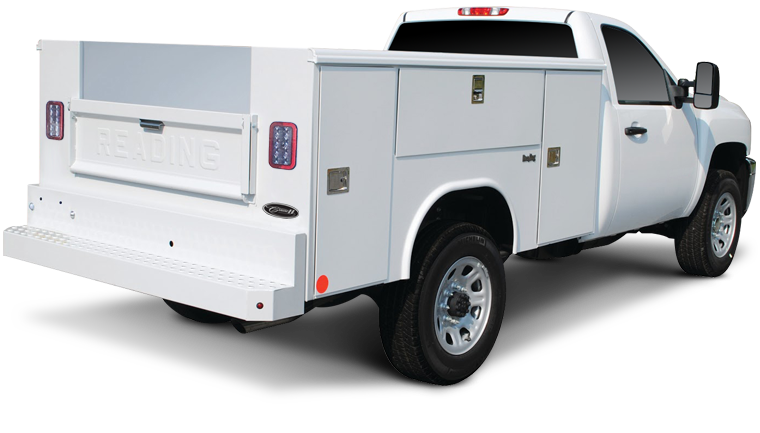 Models come in nine-foot and 11-foot lengths and include a standard ship-thru bulkhead design, single-level, drop-down tailgate release, full-width rear apron and a 40-inch full cab shield. Popular options and upgrades range from a body prop backup alarm and bolt-on sideboard gusset extension packages to tarp covers, underbody toolboxes and more. Choose a Marauder with steel drop sides to allow fast and easy loading and unloading of materials. Backed by the outstanding Reading 3 Year Limited Warranty, our drop-side dump bodies are built to handle the toughest jobs and provide the flexibility to work in challenging work environments. 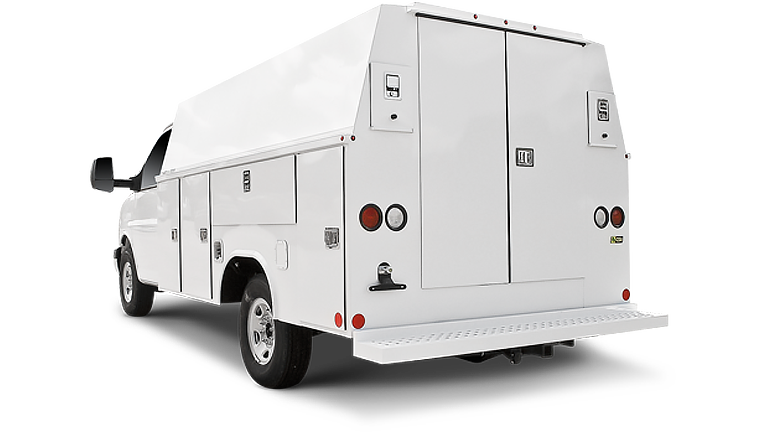 From a double-acting power unit to its two-piece HRA steel floor plate with angled sidewalls to eliminate bridging and tunneling of materials, the Marauder drop-side helps you work faster and more efficiently. These units offer all the same standard and optional features as our other Marauder dump truck bodies. When you work in industries such as construction, excavation, landscaping and masonry, productivity depends on the durability and reliability of your equipment. 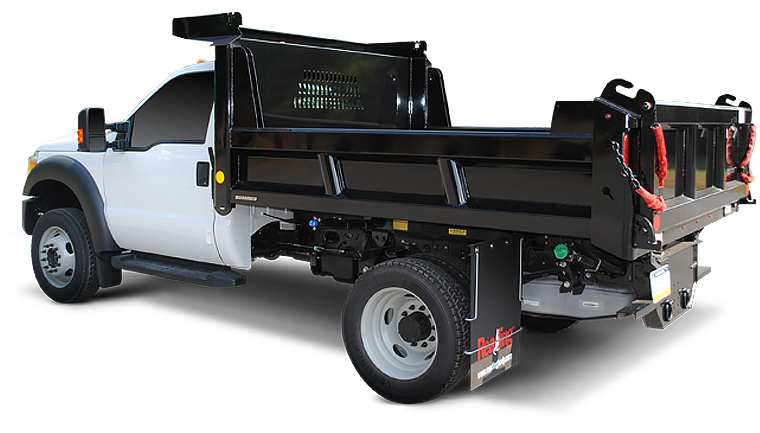 When heavy-duty hauling and material handling jobs are slowing your business down, outfitting your cab chassis truck with a Marauder dump body is an economical and efficient solution. With over 60 years serving our customers across North America, Reading Truck Body has the experience and broad capabilities to provide equipment solutions that deliver the quality and performance you expect from the industry leaders. Marauder dump bodies are the toughest dump bodies on the market. Featuring premium A60 coating-weight steel construction, as well as industry-leading standard and exclusive options, the Marauder is built to provide safe, reliable performance in even the most challenging conditions. Marauder dump bodies feature industry-leading 3-year warranties with additional extended coverage plans available upon request. When you invest in a versatile and reliable Marauder dump body, you benefit from years of trouble-free operation with minimal maintenance requirements. From exceptionally strong underbody hoists to NTEA Performance Class C and D double-acting hoists, these commercial truck bodies are designed to speed up cycle times and provide improved control and stability in the most rigorous applications. 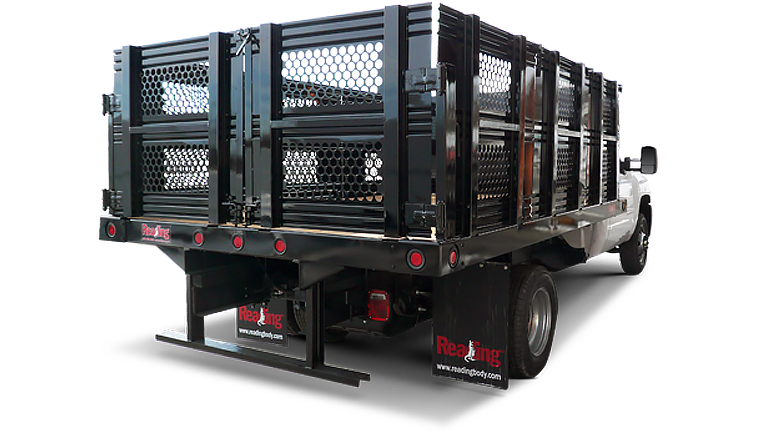 At Reading Truck Body, we’re dedicated to manufacturing the best vocational work truck bodies available at a competitive price. Our customers benefit from the decades of knowledge, innovation and commitment to quality that show in everything we do. All of our Marauder dump body trucks are made in the USA, and we use premium materials and cutting-edge techniques and technologies. Learn more about our standard duty, SL and drop-side dump body options below, and explore our website to get additional vocational truck equipment for sale and to find a local distributor in your area. If you’re not sure what you need, let us know and our experienced team will assist in identifying the most efficient solution.